Parking at the University of Utah is entirely virtual, meaning your license plate serves as your parking permit. Housing & Residential Education (HRE) residents have three different options when signing up for a parking permit. The best option may be based on where you live and how you intend to use your vehicle. Housing U: Valid in Zone 1, all U permit lots, and the E lot on Guardsman Way. Cost is $260 for the 2018-2019 academic year. Housing CU: Valid in Zone 1, Institute Parking Garage, and in the E lot on Guardsman Way. The CU permit is valid in the CU stalls at Lassonde Studios (lot 24) and lot 11. Cost is $630 for the 2018-2019 academic year. Housing E: Valid in Zone 1 and the E lot on Guardsman Way. Cost is $160 for the 2018-2019 academic year. M Permit: Sold to anyone affiliated with the University who wishes to park a motorcycle on campus. Motorcycles must be parked in designated pads around campus. They can also park in regular vehicle stalls, provided the appropriate permit is purchased. Cost is $75 for the 2018-2019 academic year. Click here for a detailed parking map of the new Shoreline Garage. Click here to apply for a parking permit at U of U at Block 44. Do you have a visitor coming to campus? No problem, HRE sells one-day passes in their main office for $3.50/day. Individuals with this pass are eligible to park in all Zone 1 parking (lots 67, 69, 74, 79, 82, 84 and 87). The U has a shuttle system that can get transport you around campus. The Shuttle Tracker is the best resource to see where the current shuttles are and estimate the timing of your next ride. The Red-Detour route will continue into fall semester. The UHC Rehab construction reduces East Medical Drive to one lane; the Red shuttle will detour using Mario Capecchi Drive from the University Hospital to Heritage. The Orange Route will operate from 6:00 a.m. to 6:00 p.m. The Night route will replace the Night Red and Night Blue. This provides 20 minute service from the Union to Heritage after 6:00 p.m.
Park-Trax route is a new route that will operate in the afternoon from 2:30 p.m. to 6:00 p.m. The Union-Trax route will operate again this fall. Download Day and Night Route for Fall 2018 & Spring 2019 here. Download Park Stadium Shuttle Route here. Purple, Green, UTA 228 provides service from Research Park to main campus. The Campus Shuttles Department is dedicated to serving the Campus community through accessible routes and schedules. Shuttles operate Monday through Friday from approximately 6:00 a.m. to 11:30 p.m. depending on the route. There is no regular weekend service. Tap on, Tap Off! Remember that being a student at the U gives you access to all public transportation (bus, TRAX, Frontrunner) in Salt Lake City at no additional cost, just using your student ID. Explore beautiful Salt Lake City without having to find parking or pay for gas. 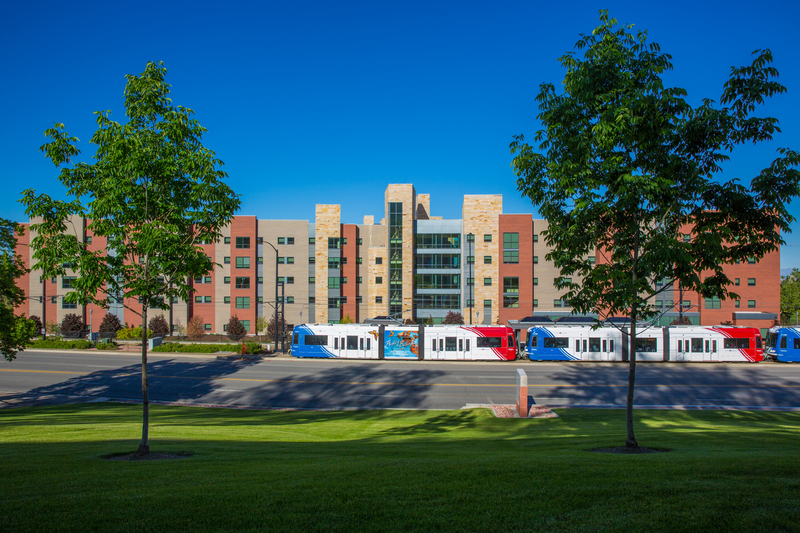 There is a TRAX stop right next to the Marriott Honors Community and will take you throughout the Valley. Simply tap-on when boarding the train/bus, and tap off when leaving! Wondering how to get to the ski resorts from the University of Utah? Learn more here.